Oxford University Press, 2014. 880 pages. It is going to be difficult for reviewers to avoid clichés about this wonderful biography – and wonderful it is, as both a work of scholarship and as a highly readable story of a truly ‘Russian life in science’. Some basic things can be clearly stated: it is the first comprehensive and thoroughly researched biography of Pavlov in any language; and it is definitive, by which I mean that anyone who remarks on Pavlov in the future without assimilating this study simply has not done her or his homework. Of course, there may be alternative views of both Pavlov as a personality and of his science, but if so, they will have had to address what Todes has to say. The biography is massively detailed, the result of more than twenty years of archival research and wider reading; there is a considerable amount of new information, along with the most thoughtful and balanced re-interpretation of his science and person. The book replaces a mass of ill-informed comment and presumption. This is needed, not only because of Pavlov’s significance within Soviet ideology and scientific culture, but also because of his public image around the world as the very model of an experimental scientist. To my mind, a biography such as this exemplifies what humanistic research has to contribute to public discussion of the place of science in the modern world. Todes has made himself fully at home in the theoretical and experimental technicalities of Pavlov’s work throughout the sixty years in which he was a formidably active and forceful scientist. Biologists and historians alike can read this volume and feel their own special interests addressed. I read it from cover to cover with unalloyed pleasure. Just why is this so good a biography? First of all, Daniel Todes, Professor of the History of Medicine at The Johns Hopkins University, is master of his subject. Perhaps in an ideal world we would take this for granted, but with the rush to publish and with the hyping of claims to originality and significance, we cannot. There is no surface display here, rather the constant interplay of detailed knowledge and generalization, the disciplined search for a fully-rounded picture, the work of someone who is quietly confident that this is the best that can be done. No archival page remains unturned (though many Russian archives remain closed – the security services, after all, now govern the country – and they may yet, one day, yield surprises). The facts are prized but also woven into a rich narrative. Todes, I should note, is also the author of an earlier study of Pavlov’s organization of digestive research, Pavlov’s Physiology Factory (2001), and of a life, Ivan Pavlov (2000), for young adults. The second reason for Todes’s success, as I see it, is that he intends his book to be read, and this shows in the way he has organized materials and in the uncluttered style, which involves putting the discipline underpinning his claims into the endnotes. This clarity is no minor achievement, given the labyrinthine complexities and duration of the research programs on digestive organ function and on higher brain function via conditional reflex experiments. Moreover, the authorial voice is calm, warm but clear-eyed, very necessary since the subject, Pavlov, was such a contradictory, difficult and often-enough offensive man, and since the times in which he worked were full of violence, suffering and upheaval, all of which still fosters strong feelings. If I may enter one word of complaint: there is no map of St Petersburg, though we are often told about where Pavlov was and about his heroic walking to get somewhere else. Enjoyment of the spatial dynamics is here compromised. Then, thirdly, the book really is about Pavlov the man, about his science and about Russia, all three. It is an extraordinarily complex matter to do justice to each of these dimensions. The book is so attractive because Todes succeeds, and he does so, it seems to me, by having a large number of relatively short chapters, each developing its theme (‘The Pavlovs of Leningrad’ about the family, ‘Laboratory Revival’ about the organization of the research, ‘The Commissar and the Dialectician’ about the political context, and so on). In this way, Todes continually builds up a unified picture – it is organizationally brilliant. Perhaps some readers will baulk at the length (as, reportedly, some publishers did); they needn’t. While, certainly, the whole picture demands the whole book, the organization of chapters makes possible a quick read of a particular topic, and a number of specific elements of repetition in the book aid this, while, at least for me, reminding the thorough reader of the long-term threads, of which there are many. I think Oxford University Press should be congratulated for seeing that this is a book that justifies its length. Pavlov has large, enduring significance as a figurehead name for the scientific worldview, for his unwavering commitment to a biological psychology for which he fiercely and ambitiously claimed he had the objective methodology: conditional reflex research. In general tenor, the contemporary neurosciences have recreated this project, both the belief that mental processes can and should be understood as brain functions and the wider faith that natural science is humankind’s only guarantee of progress towards a better life. The methodologies of the neurosciences, however, are not Pavlov’s: while research on conditional reflexes (not ‘conditioned’, a translation that long perpetuated an acknowledged mistake) had consequences in certain specific areas, already well before Pavlov’s death (in 1936), Pavlov’s claim that this was the route to knowledge of mind and brain was collapsing under the weight of its own complexities, contradictions, and ad hoc hypotheses (becoming a research program for ‘saving the appearances’, as was said about the epicycles of Ptolemaic astronomy). His research program had few followers outside Russia (the most significant exception was perhaps the work of Jerzy Konorski in Poland), even in his lifetime. The American behaviorists, with whom Pavlov shared the biological orientation and to whom he initially looked for support, found conditioning a useful technique but did not take up what was essential for Pavlov, its use to demonstrate ‘higher nervous functions’, the organization of the higher brain and, by implication, the mind. Neurophysiolgists of his generation approached knowledge of nervous functions in quite other ways; and when he was applauded at international congresses, as he repeatedly was, it was as a myth, a grand old man, astonishingly dynamic into his eighties, and not for his contemporary contribution to research. When ‘Pavlovism’ was consolidated as brain science, with large claims on psychiatry and psychology, it was under the Stalinist political system and not on the world stage. Even during his lifetime, Pavlov had penetrating Soviet critics, such as N. K. Bernshtein, the theorist of motor action, who had to put a book opposed to Pavlov into the drawer after Pavlov’s death, or I. S. Beritashvili, who maintained an alternative brain science in Tbilisi over many years. (Discussion of this, along with comment on what was happening in psychology in Russia, developments which Pavlov seemingly ignored, are things that the book does not touch on.) Certainly, Pavlov had his western admirers – W. Horsley Gantt and the Russian emigrant G. V. Anrep (both translators of Pavlov’s work), and later people like Hans Eysenck, Joseph Wortis and Jeffrey Gray. But it was under central Stalinist direction that ‘Pavlovian’ research took over in Russian and Eastern Europe; this legacy needs another book and separate assessment (a book much to be desired but not anywhere, to my knowledge, in progress). Todes’s assessment of Pavlov’s scientific contributions emerges continuously through the biography. He thus avoids directly addressing the judgment of David Joravsky, who, in Russian Psychology (1989), declared the whole approach misdirected. As is well known, Pavlov’s research began with the studies of organ function in digestion, studies that presupposed a model of nervous control (and perpetuated the style of physiology for which Claude Bernard was famed). Pavlov was awarded the Nobel Prize for this work in 1904, just as it was rapidly being overtaken by more integrated conceptions of bodily regulation. Then, from 1903, already in his fifties, Pavlov ‘re-tooled’ (in Todes’s apt expression) for the analysis of the psychic elements in secretions, which he earlier tended to view as awkward or arbitrary disturbances, and developed the methodology of measuring salivary drops as the sign or index of higher brain processes, in terms of which, Pavlov assumed, explanation of mental functions would be forthcoming. Throughout, Pavlov viewed success in science as ‘the ability to encompass, contain, and so explain his experimental data by a limited number of basic principles’ (p. 300). His work was experiment driven, and he never clearly focused on the concepts that he brought along with his interpretive framework. Todes is very alive to that interpretive process. Though the conditional reflex research proceeded on an ever-grander scale, with more and more researchers employed, the results continued to escape Pavlov’s ability to encompass them in a clear synthesis. This remained his public goal, and optimism his public rhetoric, but private doubt there was, doubt that, with reason, put the whole enterprise at risk. We, in retrospect, can see the research program collapsing under the weight of its own complexity and ad hoc hypotheses (once again, like the Ptolemaic system, and in this respect comparable to the behaviorist program of Clark Hull at Yale). Pavlov’s aggressive authority, and later Stalinist policy for science, held the program together, not conceptual insight. With his multiple institutional positions in St Petersburg, and by displaying his worldwide prestige, Pavlov was in a position, under the tsars and then on a much enhanced scale under the Bolsheviks, to establish conditional reflex research as a very large-scale enterprise (‘big science’). As Pavlov understood, ‘with a good method, even a rather untalented person can accomplish much’ (quoted p. 121), and he carried over a method from digestive to conditioning research which found a constructive place for, and gave training and qualifications to, many workers. It was not psychology as people who called themselves psychologists understood it, but Pavlov certainly intended his research, in due course, to constitute scientific, objective psychology. With a fierce struggle for centrally controlled resources, Pavlov emerged as the clear front-runner in the late 1920s. Party ideologues, and especially deeply-committed and able Communist scientists in his program, then conceived of the dialectical reconstruction of his theory. This Marxist possibility, his worldwide reputation and established institutional interests made him a figure of outstanding national importance in the highly centralized Bolshevik system of governance. This culminated at the 1935, elaborately prepared and lavishly dined, XVth International Physiological Congress, presided over by Pavlov, then 86, as the living face and voice of Soviet achievement. In his own mind, he stood for science, for truth and for patriotism. Perhaps fortunately, Pavlov was dead half a year later–– fortunately because there is evidence that Stalin was at long last preparing to revenge himself on this outspoken man to whom the state had allowed an utterly exceptional long leash because it suited its political interests. The Terror followed, and Todes ends soberly with a list of people, connected to Pavlov, who were eliminated. Pavlov’s many links to medical interests were a further reason for his institutional success. His experimental style, which used precise analysis but worked with whole animals, exemplified and promoted the new scientific medicine, and indeed it came to dominate the Institute of Experimental Medicine where Pavlov had his largest laboratory (and where visitors can still see his study, not to mention the memorial statue to the hero of his work, the dog). Then, beginning before World War One with studies of induced neurosis in dogs, and very much expanding in the 1920s, he used conditioning to study individual temperament and the types of mental illness. Continuously adapting but not fundamentally changing his general excitation-inhibition model of the nervous system, he was able to suggest why conditioning work had variable, even contradictory results with different animals, and then to use his theory and results to tackle the diagnostic categories of clinical psychiatry and point out courses of treatment (restoring balance). Todes describes ‘the great appeal of Pavlov’s grand synthesis of the two basic moments at the heart of his scientific vision: his effort both to identify precise, quantitative, determined physiological laws and to encompass the intact, functioning animal. The joining to these two moments … embodied thematically in the characteristic secretory curves and the powerful idiosyncratic psyche, presented physiologist and physician alike with an impressive example of the union between experimental science and the daily complexities of medical practice’. (p. 207) We might go further and say that his scientific work was especially apt for translating into scientific terms common sense, and ancient, belief in the balance thought so central to daily moral life and health. Pavlov worked with animals, to be sure, but, like Darwin, he had boundless imagination for argument in a circle – for an evolutionist, a constructive circle, from humans to animals and from animals to humans. Pavlov, to be sure, was naïve in his anthropomorphism, just as he was naïve about philosophy, about social science, about politics, and about human relations, but this very naivety permitted ambition for science on the grand scale. Any assessment of Pavlov’s science is inseparable from assessment of his scientific style, and this style was inseparable from the man. Pavlov was an extraordinary character, a deep individualist, by any standards. Todes’s rich enjoyment of this, his unmoralizing but not uncritical engagement with the character, is absolutely central to the pleasure of the book. Pavlov, till the end of his life, was fantastically physically and emotionally dynamic, swimming, walking (at high speed), playing his beloved gorodki (a game throwing heavy sticks), utterly self-centered, demanding that everyone around fit to his plans – of research or recreation, ferociously and rudely competitive, exploding in uncontrolled (or uncontrollable) outbursts of temper at contradiction, disagreement or even just losing a game, emphatically confident in public speech and in the process grossly rude about other people or other approaches to science. Some readers will warm to the grand old man, often charming, organizing everything about him to suit his admirable purposes; others will see a dictator, hardly conducive to good science, company to be avoided. Todes keeps the kind of balance Pavlov himself lacked. Pavlov, who had a staggering memory for experimental facts, continuously sought to interpret and to integrate research data, the endless records of salivary drops formed under endlessly varied conditions, to achieve a synthesis. But he also speculated wildly about brain functions, strongly interpreted data to suit his current view, and lambasted those who had the temerity to argue otherwise. He was the undisputed boss. A balanced picture is possible, however, because Pavlov could and did change his mind on particular interpretations of experimental results (his acceptance of ‘mutual induction’ of excitation and inhibition is particular instructive), and he did modify reactions to people after initial outbursts. He never wavered, though, about science as the path to the human future or about his central place in bringing that future about. The book cover reproduces the very late portrait of Pavlov by his friend, the artist M. V. Nesterov, which movingly shows the old man with his fists firmly clenched on a table, with the world of the biological research station, Koltushi (which he created with large government support) emerging behind him. He hoped at this research station to realise vastly ambitious plans to study the interaction of heredity and environment, with a view to giving humanity the power to control its future. But his scientific plan was inoperable and the research station, though large, not completed. Throughout his life, he saw both individual character and events flowing from the interaction of order and correctness (pravil’nost’) and randomness (sluchainost’) – and, as Todes wryly remarks, he attributed to things that went wrong, like the Revolution, to randomness, and things that went right to his own orderly capacities. His research sought a law-like mechanistic form of behavior; but he exercised his own will as if it could and should know no bounds. In connection with this, we may note that the biography gives a notably sensitive portrait of Pavlov’s wife, Serafima Vasil’evna, who, from being a young woman with hopes of her own, became devoted to Pavlov. She retained a deeply religious sensibility in the face of his atheism and dignity in the face of his aggression. She maintained domestic support, but she and Pavlov separated emotionally when he started an intimate and intellectual relationship, which lasted through the last twenty years of his life, with Maria Kapitonovna Petrova, who became his closest colleague in his science. There are biographies about well-known lives that have little new to say, though they may have a new slant or address a new audience. 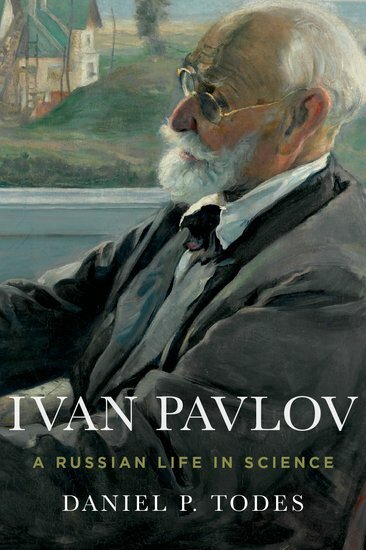 This biography has a great deal new to say: it makes clear a host of things connecting Pavlov’s life and science that were previously unknown or obscure. The quality and detail of the historical research is of paramount importance, as it is the means to overcome both simple ignorance of the archival sources and more complex mythology and ideological appropriation. The research is apparent, for instance, in the subtle account of Pavlov’s transition from the work on digestive organs to work on the brain, adapting the surgical and experimental techniques and management skills developed for the former in order to focus on the psychic factors themselves. Pavlov always described himself as a physiologist, yet he did not doubt that the final goal of human self-interest was the psyche, the subjective world. Thus he did have large ambitions for psychology, though for psychology as he understood it and not as almost anyone else did, and he seems to have had strikingly little contact with people who called themselves psychologists (though, in the 1920s, these people were effectively competing with the government for the funding appropriate for recreating psychology as a Marxist science). Pavlov’s naivety about and antagonism to philosophy, very much part of his personality, made his science appear crudely materialist, whatever his highly developed personal morality (his moral dignity, or dostoinstvo) and interest in the arts. But he was no materialist and saw knowledge of the conditions of subjectivity as the ultimate intellectual goal. In the 1920s, he had psychological interests in character typology and psychiatric diagnosis, and he paid attention to American behaviorists and, later, to Gestalt psychology (to which Pavlov responded because it seemed to challenge his whole approach to the brain). Pavlov’s relationship with the Bolsheviks has been a vexed issue – emotively, politically, and ethically. I think it is put to rest here. Todes tells a clear, and clearly validated, story, in which the key is Pavlov’s unwavering scientism, in general as a worldview and in particular as the legitimating force of his life’s work. Pavlov was a typical liberal and bourgeois of his time, willing to support constitutional government but utterly opposed to ‘the barbarians’ who he saw take power late in 1917. His faith was science itself, and politics he did not comprehend unless it was governance based on science and dostoinstvo, moral dignity. His research program had no less an ambition than to give to humanity the biological knowledge he believed would underpin rational policies, including the regulation of breeding. So, then, when the Bolsheviks, following Lenin’s instructions, began to fund his research, which they eventually did on a scale unlike any other comparable research area, he was forced to concede that the government recognized the value of science and, hence, called for his support. In addition, Pavlov was deeply and unquestioningly patriotic, and he thought this required him not to criticize the government, when, as he understood it, the country had need of support. Todes sensitively characterizes Pavlov’s acute self-consciousness of personal moral dignity. Where this was not too compromised, he found ways to work with Bolshevism. It was a balancing act that caused Pavlov much wavering and doubt. He did openly criticize the leadership in ways impossible for others, sought to defend family and colleagues from attack, and he did offer public support for the regime. When a number of scientists who were Communists tried to push his research in directions, which they thought (not unreasonably, it seems to me) conducive to dialectical understanding, Pavlov, as ever, judged this according to the capacity of his co-workers to produce factual results. In every way, he found analysis easier than synthesis (very evident in the English translations of his works). As the public figurehead for the government’s support of science and a well-known critic of Soviet politics, a man who was likely to use a public platform for criticism if not insult, Pavlov was closely monitored. Misfiled informers’ reports (which would otherwise still be in closed archives), discovered by chance, give a glimpse of the kind of daily information in the hands of the NKVD (security services). Todes also puts to rest the question of Pavlov’s religious convictions. His activity in defending believers led to the story that he was himself a closet believer. Not at all – his atheism was firmly formed in the 1860s and he was impatient, when not rude, about any claim to knowledge, which was not scientific in form. Yet the freedom to express belief became something of a touchstone for him, inseparable from his belief in individual moral dignity. He also accepted elements of religious ceremony as part of traditional Russian life. On the basis of his archival work, Todes concludes that Pavlov’s commitment to trying to secure freedom from persecution and death for those who asked for help, as people did, was larger than has been appreciated. No review is going to give adequate notice of the wealth of information, which weaves the science, the person, and the staggering historical events into a whole cloth. But the cloth is whole. Concern for such wholeness, for justice to science, to the man, and to the times alike, is a labor of intellectual love. Wonderful. Roger Smith, PhD, is Emeritus Reader in History of Science, Lancaster University UK, and associate of the Institute of Philosophy and the Institute of Psychology in Moscow, Russia, where he now lives. Most recently, he is the author of Between Mind and Nature: A History of Psychology (London: Reaktion Books, 2013), and Free Will and the Human Sciences in Britain, 1870-1910 (London: Pickering & Chatto, 2013). His current research is on the history of touch and movement senses; his Mary Whitton Calkins Lecture to the APA, Washington, 2014 can be viewed here. Smith R. Daniel P. Todes’ Ivan Pavlov: A Russian Life in Science. Somatosphere. 2015. Available at: http://somatosphere.net/2015/pavlov.html/. Accessed April 18, 2019. Smith, Roger. 2015. Daniel P. Todes’ Ivan Pavlov: A Russian Life in Science. Somatosphere. http://somatosphere.net/2015/pavlov.html/ (accessed April 18, 2019).